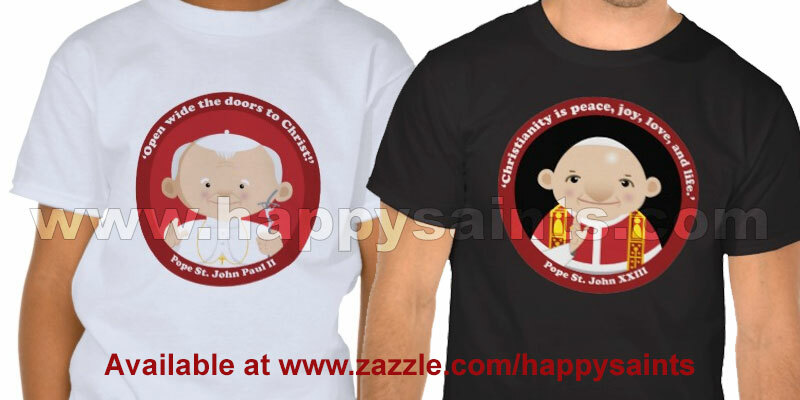 Happy Saints: Popes St. John Paul II and John XXIII Souvenirs! Two great Popes will be canonized in April 2014! Happy Saints gifts (t-shirts, badges, mugs, hats, bags etc.) are now available at the gift store … Get yours today!